Paper Money Guaranty® has certified three important US notes that represents the pinnacle of American paper money collecting. 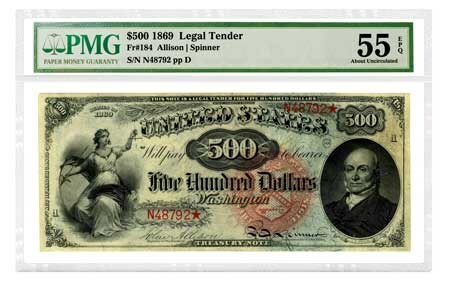 Paper Money Guaranty® (PMG®) has certified three important US notes that were recently sold at auction for a combined $5 million. 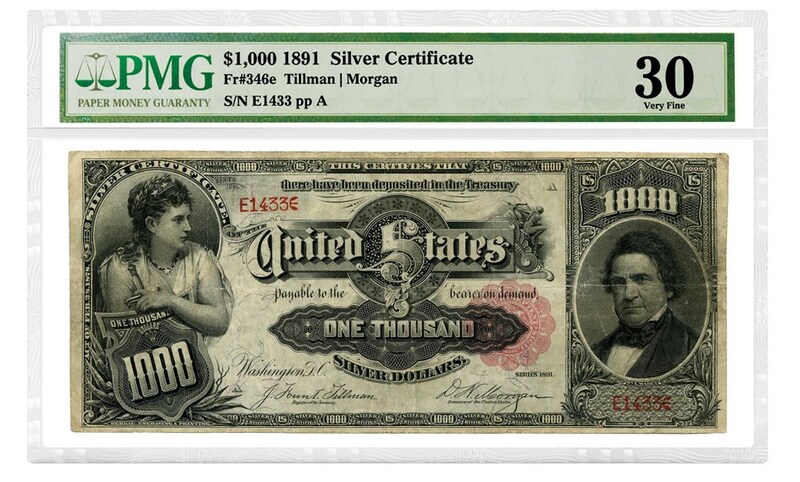 an 1891 $1,000 “Marcy” Silver Certificate, attributed as Friedberg-346e and now graded PMG 30 Very Fine. These notes were previously graded by PCGS Currency and sold by Stack’s Bowers Galleries on February 28, 2019. 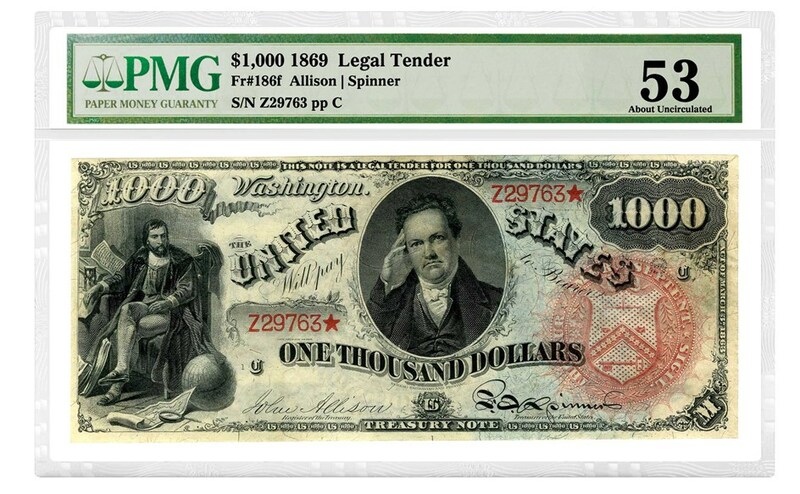 After the sale, the notes were submitted to PMG under its new CrossOver service, which allows notes encapsulated by PCGS Currency to be re-graded by PMG. PMG’s CrossOver service was launched in response to overwhelming requests from paper money collectors and dealers after PCGS Currency abruptly ceased operations in early 2019. The closure of PCGS Currency left owners of PCGS Currency-graded notes wondering whether the authenticity and grade of their notes were still guaranteed. It also left buyers and sellers without access to current PCGS Currency population data or the ability to verify the certification of their PCGS Currency notes online. Now that the notes are certified by PMG they are protected by PMG’s high-quality, inert holder as well as its comprehensive guarantee of authenticity and grade—the strongest in the industry. 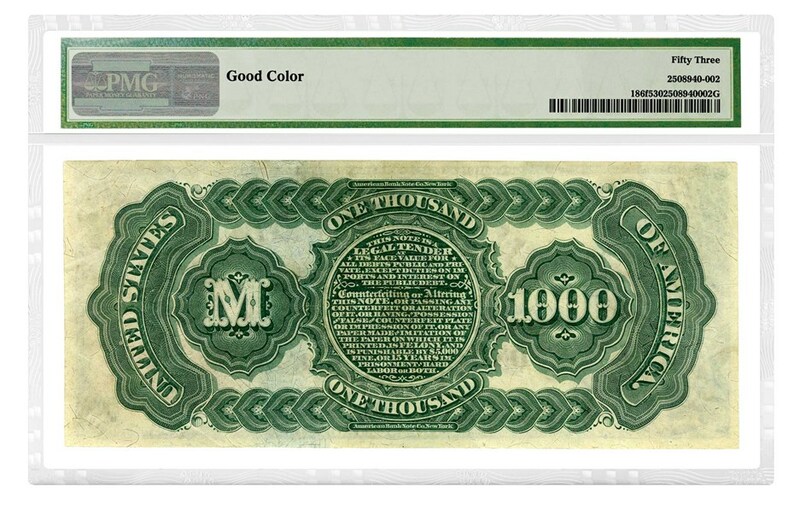 “Rainbow” Legal Tender Notes are so named for their red, green, blue and black hues. Issued in $100, $500 and $1,000 denominations in 1869, “Rainbow” notes are both extremely rare and highly coveted today. 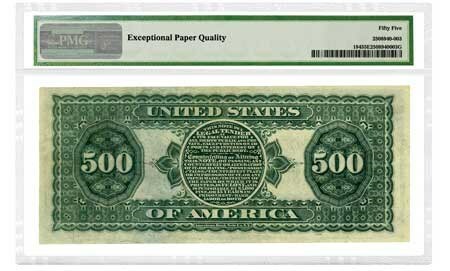 The $500 “Rainbow” Legal Tender Note graded PMG 55 EPQ About Uncirculated is the finest of only three known examples. The other two examples are permanently impounded in the collections of the Smithsonian Institution and the Federal Reserve Bank of Chicago. The $1,000 “Rainbow” Legal Tender Note graded PMG 53 About Uncirculated is the finer of the two known examples. The second is in the Smithsonian Institution. 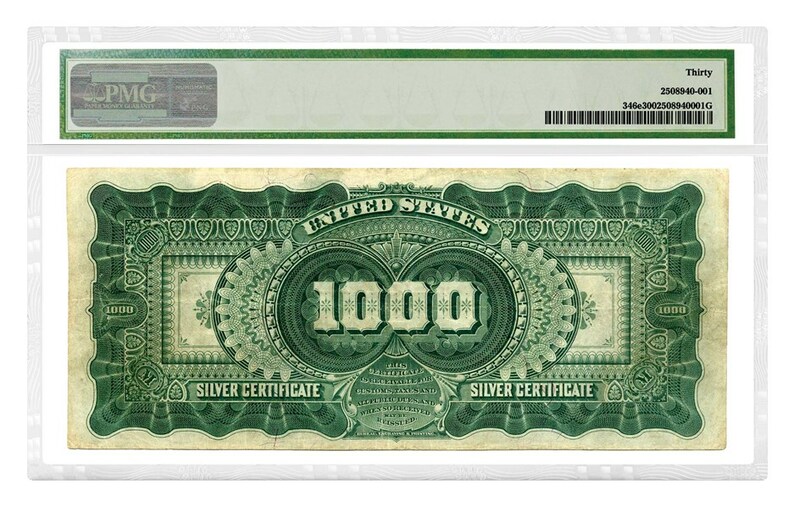 The 1891 $1,000 “Marcy” Silver Certificate is possibly the most desirable—and most valuable—of all US banknotes. It features a portrait of William L. Marcy, an American statesman who is also known for sending a sample of gold to President James Polk during the earliest days of the California Gold Rush. The example recently graded PMG 30 Very Fine is the only one in private hands. The other is held by the Smithsonian Institution. Founded in 2005, PMG has long been the world’s largest and most trusted third-party paper money authentication, grading and encapsulation service. 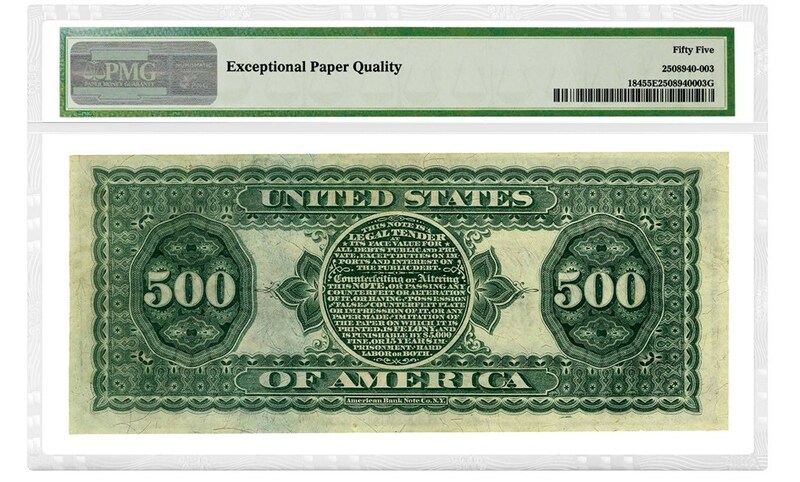 PMG is an independent member of the Certified Collectibles Group® (CCG®), whose affiliated companies are dedicated to expert and impartial certification services for paper money, coins, comic books, magazines, concert posters, postage stamps and other collectibles. The CCG companies employ nearly 350 people around the world, including more than 75 graders, and operate offices in the United States, China, Hong Kong, Germany and the United Kingdom. Together, the CCG companies have certified more than 52 million collectibles since 1987.